A Seattle police department has affixed labels to 1,000 bags of Doritos urging people to check out a marijuana Q&A on its website. SEATTLE — A few things will be different at this year’s Hempfest, the 22-year-old summer “protestival” on Seattle’s waterfront where tens of thousands of revelers gather to use dope openly, listen to music and gaze at the Olympic Mountains in the distance. The haze of pot smoke might smell a little more like victory, after Washington and Colorado became the first states to legalize marijuana use by adults over 21. 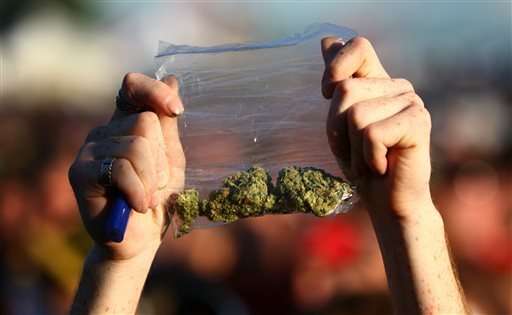 Having won at the state level, speakers will concentrate on the reform of federal marijuana laws. Oh, and the Seattle police — who have long turned a lenient eye on Hempfest tokers — don’t plan to be writing tickets or making arrests. They’ll be busy handing out Doritos. The idea isn’t just to satisfy some munchies. The department has affixed labels to 1,000 bags of Doritos urging people to check out a question-and-answer post on its website, titled “Marijwhatnow? A Guide to Legal Marijuana Use In Seattle.” It explains some of the nuances of Washington’s law: that adults can possess up to an ounce but can’t sell it or give it away, that driving under the influence of pot is illegal, and that — festivals aside — public use is illegal. Organizers are expecting as many as 85,000 people each day of the three-day event, which begins Friday and is the first Hempfest since voters passed Initiative 502 last fall. The vote legalized possession of marijuana and set up a system of state-licensed marijuana growers, processors and stores to sell taxed and regulated weed. Officials are still writing rules for the new pot industry, with sales scheduled to begin next year. Hempfest executive director Vivian McPeak said that despite the state-level legalization, work remains as long as pot is illegal under federal law. The event is free, but McPeak is asking attendees to contribute $10 to offset the $800,000 cost of Hempfest so it can continue next year. The event will feature 117 musical acts on six stages and more than 100 speakers, not to mention 400 vendors offering informational pamphlets, colorful glass bongs, food and art. McPeak said that to encourage the responsible use of pot, Hempfest this year will be handing out cards with marijuana “gut checks” prepared by Roger Roffman, a University of Washington School of Social Work professor and marijuana dependence expert. The cards note that while marijuana is used safely by many people, it can cause short-term memory loss, affect your ability to drive and cause dependence. “We hope people will take it more seriously coming from us than from a traditional messenger,” McPeak said. And although police won’t be ticketing people for smoking in public, officers will be ensuring public safety and keeping a close eye out for intoxicated drivers leaving the event, Whitcomb said. Brett Laoruangroch is hoping to use Hempfest to promote his fledgling business, Prohibition Brands, by rolling a joint of at least 2 pounds — an effort Hempfest’s organizers have frowned upon as not compliant with Initiative 502. Prohibition Brands hopes to obtain a marijuana processing license under the state’s new law.